Hi everyone! 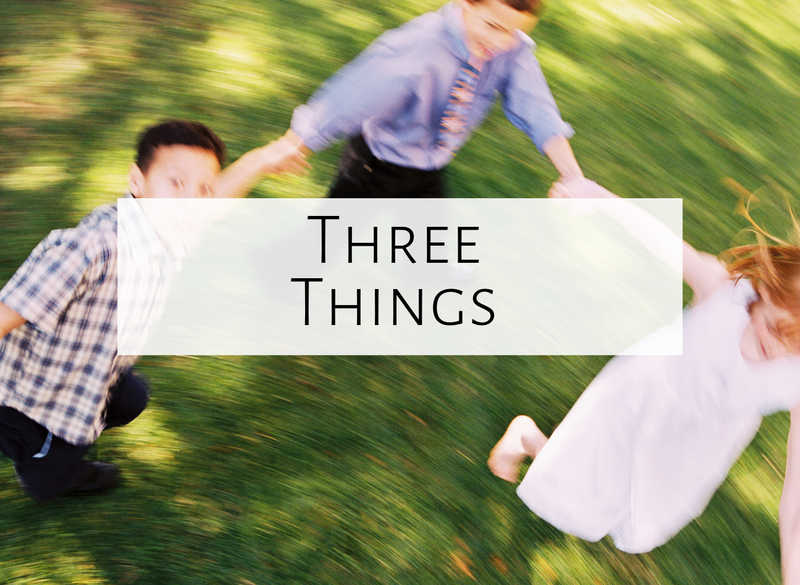 I'm excited to continue my new linky party today, called "Three things." 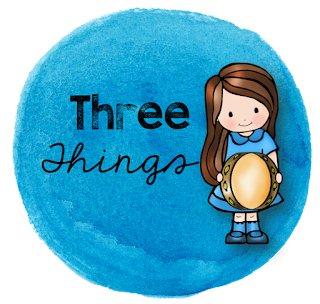 I'm going to blog about three things that worked really well for my students this past week...things that were magical, that they beg to do again, etc. Thanks to Whimsy Workshop Teaching, Kimberly Geswein fonts, and Jax and Jake for the cute clip art and fonts! 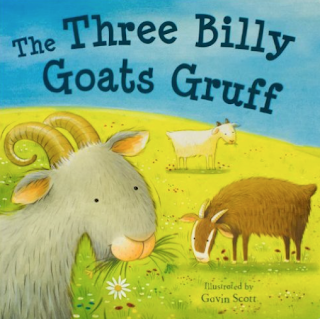 Two weeks ago, I read the book "Three Billy Goats Gruff" to my Kindergarteners, and had students use their squeaky/high speaking voice to say "trip trap, trip trap" for the little billy goat gruff, their speaking voice for the middle billy goat gruff, and their grumbly/ low speaking voice for the great big billy goat gruff and for the troll. This was a great way to explore their voices while reading a well known story! Here is the book I used, but there are many different versions out there! Then, this past week, I reviewed the story with the students, then had some students play the gathering drum for "Oh no, you're not! ", some students play the glockenspiel (on whatever notes they wanted) for the little billy goat gruff's "trip trap, trip trap," some students play the alto xylophone for the middle billy goat gruff's "trip trap, trip trap," and the rest of the students play the bass metallophone and bass xylophone for the great big billy goat gruff's "trip trap, trip trap." 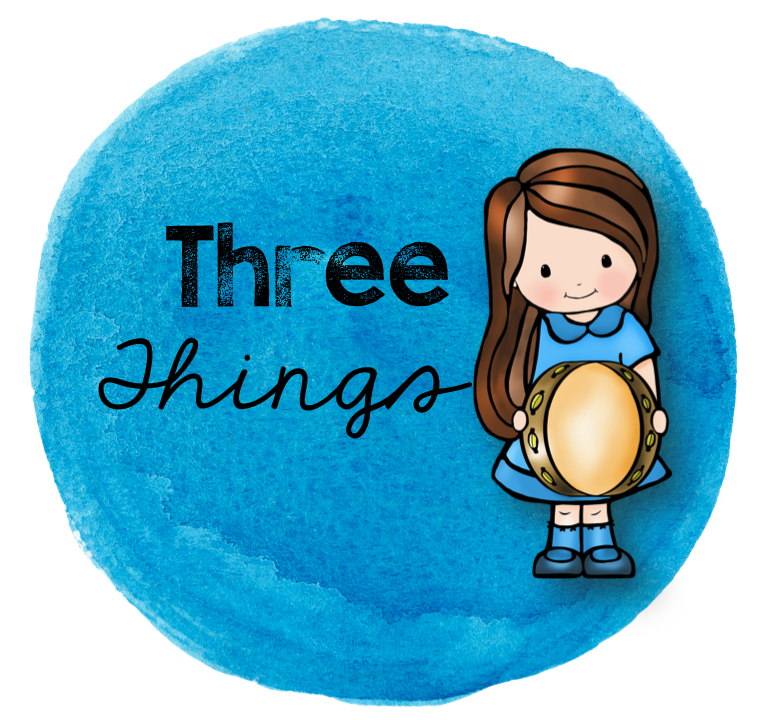 The kids LOVED playing the instruments, and it was a great way to introduce them to instruments and practice story structure--as they could only play for their character! This summer, I had the pleasure of meeting Lessia Bonn from I am Bullyproof Music at the TpT conference in Las Vegas. I then began listening to a lot of her music and love that her music not only is beautifully written, but it has a great message. 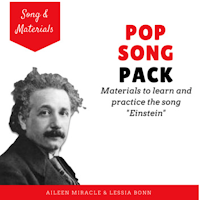 My fourth graders listened to "Einstein" this week, and I loved how they were immediately grooving to it, and that they could articulate the message behind the song after only one listening! My goal is to have them create a video in small groups to the song, using iMovie...more to come on that! Here is a video that Lessia created for "Einstein." Most of the songs I do with the students are folk songs, but I've been searching for a way to bridge the gap between the music I do with them and the music they hear every day. 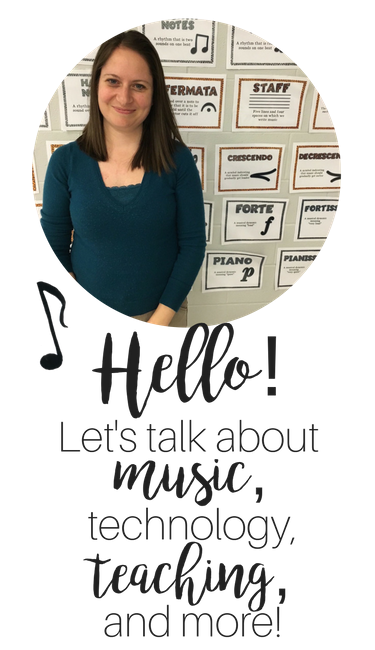 Pop music can be tricky, because it's so often inappropriate and it sometimes goes out of "style," so Lessia's songs are a great bridge between pop and folk, allowing students to transfer their learning! After my second graders sang and played "Bow Wow Wow," I showed them "I let her go-go" and had them figure out how it was similar. (If I remember correctly, I learned this connection from my good friend Andrew Ellingsen, who is an AMAZING presenter if you ever get a chance to see him!) Here is a video of "I let her go-go"....the kids loved it, and I love connecting the two songs and discussing the similarities! What were you favorite activities this week? Feel free to comment below, and make sure you read the ideas of others by clicking below! Happy teaching!